"Decanter World Wine Awards" has rated the wine "Brancaia Il Blu Toscana IGT, Tuscany, Italy" the vintage 2013 on 01.01.2017 with 88 of 100 points. "Wine Spectator" has rated the wine "Brancaia Il Blu Toscana IGT, Tuscany, Italy" the vintage 2012 on 15.10.2016 with 92 of 100 points. "Luca Gardini" has rated the wine "Brancaia Il Blu Toscana IGT, Tuscany, Italy" the vintage 2012 on 01.07.2016 with 91 of 100 points. "Wine & Spirits Magazine" has rated the wine "Brancaia Il Blu Toscana IGT, Tuscany, Italy" the vintage 2011 on 01.04.2016 with 89 of 100 points. "Wine Spectator" has rated the wine "Brancaia Il Blu Toscana IGT, Tuscany, Italy" the vintage 2011 on 31.10.2015 with 92 of 100 points. "Luca Gardini" has rated the wine "Brancaia Il Blu Toscana IGT, Tuscany, Italy" the vintage 2011 on 01.07.2015 with 93 of 100 points. "Wine & Spirits Magazine" has rated the wine "Brancaia Il Blu Toscana IGT, Tuscany, Italy" the vintage 2010 on 01.04.2015 with 85 of 100 points. "Falstaff Magazin" has rated the wine "Brancaia Il Blu Toscana IGT, Tuscany, Italy" the vintage 1998 on 17.02.2015 with 97 of 100 points. "Falstaff Magazin" has rated the wine "Brancaia Il Blu Toscana IGT, Tuscany, Italy" the vintage 2001 on 17.02.2015 with 96 of 100 points. "Falstaff Magazin" has rated the wine "Brancaia Il Blu Toscana IGT, Tuscany, Italy" the vintage 2003 on 17.02.2015 with 95 of 100 points. "Falstaff Magazin" has rated the wine "Brancaia Il Blu Toscana IGT, Tuscany, Italy" the vintage 2004 on 17.02.2015 with 94 of 100 points. "Falstaff Magazin" has rated the wine "Brancaia Il Blu Toscana IGT, Tuscany, Italy" the vintage 2005 on 17.02.2015 with 93 of 100 points. "Falstaff Magazin" has rated the wine "Brancaia Il Blu Toscana IGT, Tuscany, Italy" the vintage 1999 on 17.02.2015 with 92 of 100 points. "Falstaff Magazin" has rated the wine "Brancaia Il Blu Toscana IGT, Tuscany, Italy" the vintage 2002 on 17.02.2015 with 92 of 100 points. "Falstaff Magazin" has rated the wine "Brancaia Il Blu Toscana IGT, Tuscany, Italy" the vintage 2000 on 17.02.2015 with 91 of 100 points. "Wine Enthusiast" has rated the wine "Brancaia Il Blu Toscana IGT, Tuscany, Italy" the vintage 2010 on 08.01.2015 with 87 of 100 points. "Wine Spectator" has rated the wine "Brancaia Il Blu Toscana IGT, Tuscany, Italy" the vintage 2010 on 15.10.2014 with 90 of 100 points. "Vinous Antonio Galloni" has rated the wine "Brancaia Il Blu Toscana IGT, Tuscany, Italy" the vintage 2009 on 01.08.2013 with 90 of 100 points. 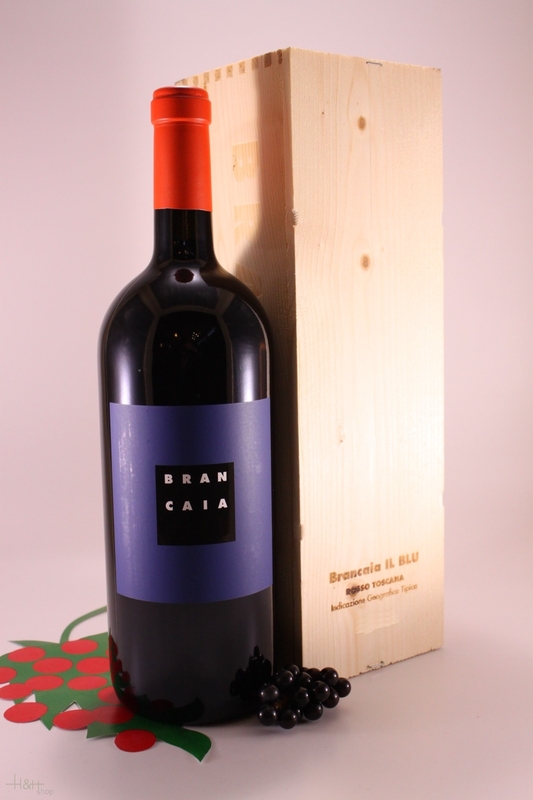 "Luca Gardini" has rated the wine "Brancaia Il Blu Toscana IGT, Tuscany, Italy" the vintage 2009 on 01.07.2013 with 82 of 100 points. "Wine Spectator" has rated the wine "Brancaia Il Blu Toscana IGT, Tuscany, Italy" the vintage 2009 on 30.04.2013 with 92 of 100 points. "Wine Enthusiast" has rated the wine "Brancaia Il Blu Toscana IGT, Tuscany, Italy" the vintage 2009 on 04.01.2013 with 95 of 100 points. "Wine Spectator" has rated the wine "Brancaia Il Blu Toscana IGT, Tuscany, Italy" the vintage 2008 on 15.10.2011 with 92 of 100 points. "Wine Spectator" has rated the wine "Brancaia Il Blu Toscana IGT, Tuscany, Italy" the vintage 2007 on 15.06.2010 with 94 of 100 points. 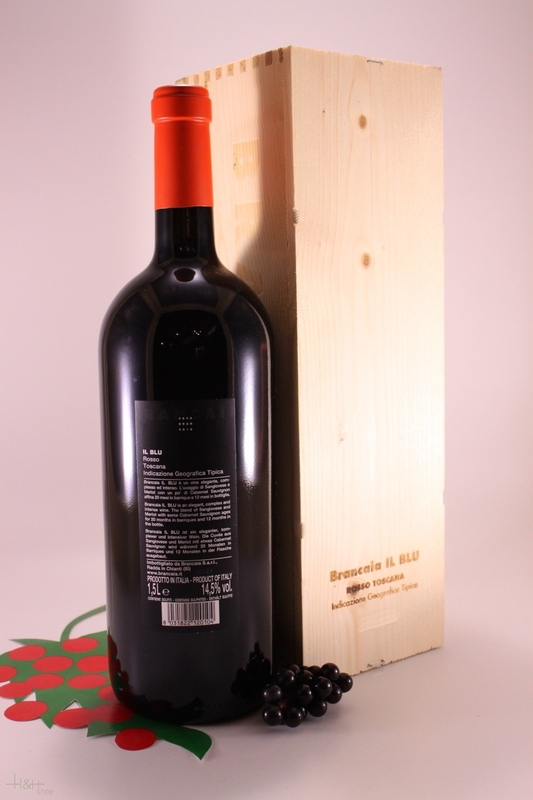 "Robert Parker The Wine Advocate" has rated the wine "Brancaia Il Blu Toscana IGT, Tuscany, Italy" the vintage 2006 on 31.08.2009 with 95 of 100 points.